Gross Weight (GVWR) 5779 lbs. 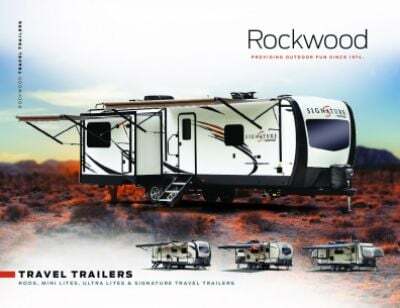 Launch into RV adventures with the epic 2019 Forest River Rockwood Mini Lite 2306! This Travel Trailer was made for long-distance trips across the country, and your family will love every moment in it! You'll find this reliable camper and other models from the nation's favorite RV brands at All Seasons RV, one of the largest RV dealers in the Midwest! 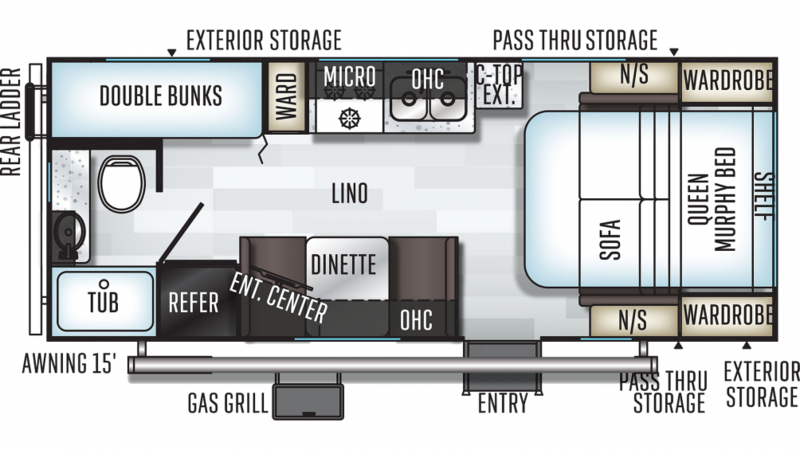 You can visit our lot at 4701 Airline Rd Muskegon Michigan 49444, or utilize our 24/7 RV delivery service throughout North America to bring this model to your door! Start your camping lifestyle today by calling us at 231-739-5269! This Forest River Rockwood Mini Lite 2306 is as attractive outside as it is inside! It boasts a towable hitch weight of 499 lbs. and GVWR of 5779 lbs! The easy to open 15' 0" patio awning provides shade and protection for all your outdoor lounging! Enjoy a Foot Flush toilet and a hot shower without having to make a long trip to the communal bathroom. This RV's 40 lbs. of LP tank capacity help heat the water, and used water is either stored in the 30 gallon gray water tank or the 30 gallon black water tank. Everyone sleeps well in this RV! Your children will drift off to sleep in no time in the cozy and private bunkhouse!